Evolutionary algorithms allow for solving a wide range of multi-objective optimization problems. Nevertheless for complex practical problems, including domain knowledge is imperative to achieve good results. In many domains, single-objective expert knowledge is available, but its integration into modern multi-objective evolutionary algorithms (MOEAs) is often not trivial and infeasible for practitioners. In addition to the need of modifying algorithm architectures, the challenge of combining single-objective knowledge to multi-objective rules arises. 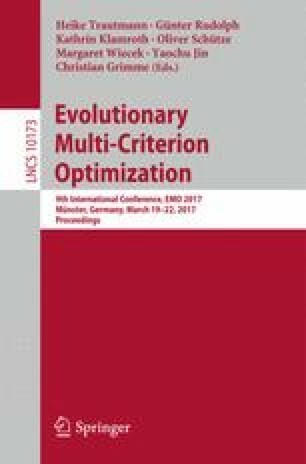 This contribution takes a step towards a multi-objective optimization framework with defined interfaces for expert knowledge integration. Therefore, multi-objective mutation and local search operators are integrated into the two MOEAs MOEA/D and R-NSGAII. Results from experiments on exemplary machine scheduling problems prove the potential of such a concept and motivate further research in this direction.